Paramount Pictures took “Transformers” fans back to the ’80s with new footage for the upcoming prequel “Bumblebee,” which answered at least one question about the movie’s villains. During Paramount’s panel at San Diego Comic-Con 2018, “Bumblebee” director Travis Knight called the “Transformers” prequel an “origin story” that will include scenes on the Transformers’ home planet of Cybertron. He also told fans the jet fighter Transformer featured in the first “Bumblebee” trailer is the Decepticon Blitzwing, not the beloved “Transformers” villain Starscream, as some had guessed. The prequel dials back 27 years before the first of the modern “Transformers” films and focuses on Bumblebee, the yellow Autobot who’s a primary figure throughout the series. 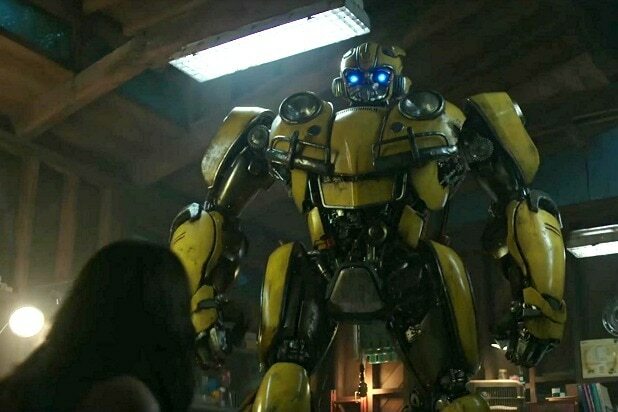 Bumblebee befriends a teenage girl named Charlie (Hailee Steinfeld) in the movie, and the pair go on the run after a government enforcer, Agent Burns (John Cena), tries to capture Bee. Of course, it wouldn’t be a Transformers movie if there weren’t other giant robots to fight on Earth as well — and eventually, Bee and Charlie run into them. The new footage gives insights into the story teased in the film’s first trailer. It finds Bumblebee being chased by Burns with a squad of armored vehicles, before the pair are interrupted by Blitzwing, who fires off rockets and drags Bumblebee to the top of a nearby mountain, before declaring that he is “sentenced to death.” Then Blitzwing drops Bee off the mountain. Bee is still alive, but just barely, once he hits the ground. As his systems begin to fail, his last act before passing out is to scan a yellow VW Beetle. 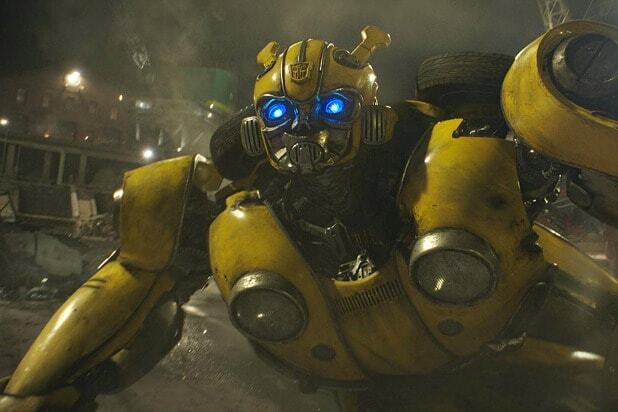 When we next see Bumblebee, it’s in an extended version of footage from the first trailer, in which Charlie discovers the beat up Autobot in a salvage yard in his Beetle form. A new trailer also came out of the Comic-Con panel, which suggested that Burns might even be working with the Decepticons. “Bumblebee” also stars Jorge Lendeborg Jr., Pamela Adlon, Marcella Bragio and Kenneth Choi, with Justin Theroux and Angela Bassett voicing villainous Decepticons. It’s set to hit theaters on December 21.